There are a myriad of benefits of swimming. Besides the fact that it’s a great form of cardiovascular exercise for the whole body, recent studies have shown that swimming can also help reduce stress and relieve tension. If you have young kids, it’s important that they learn to swim as early as possible, not only for the health benefits but also for their safety. According to the National Safe Kids Campaign, *among unintentional injuries, drowning is the leading cause of death for children 1-4 years of age and the second leading cause of death for children 5-14 years of age. As parents, it’s important that we are conscious about water safety for our kids. Our boys love swimming and on top of that, we bought our current house with a swimming pool so it was only necessary that they learn how to swim. We enrolled them in professional swimming lessons near our home when they were 3 and 4 years old and it was one of the best decisions my husband and I made for them. They enjoy swimming and I love that they have found an excellent form of exercise as well! 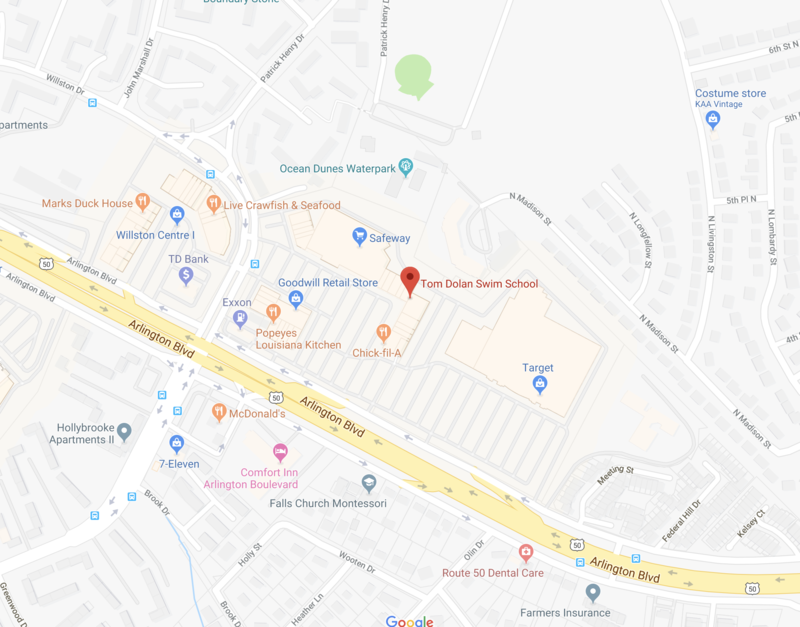 Speaking of swimming lessons, if you’re in the Northern Virginia, I’m excited to share with you that Tom Dolan Swim School is opening their second location in the Arlington/Falls Church area in early February! Tom Dolan Swim School was founded and created by Tom Dolan – an Olympic Gold Medalist and former World Record Holder. 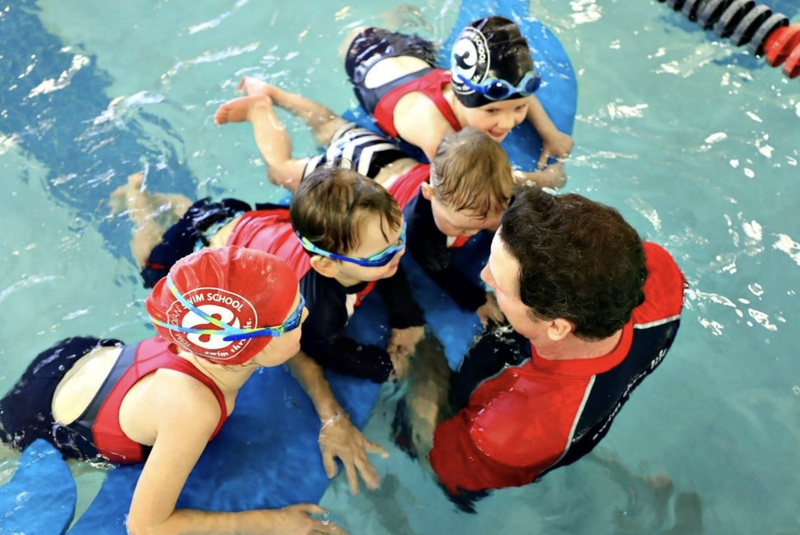 Tom Dolan Swim School’s role is to ensure that you and your child are having fun while learning the important safety and technical aspects of the life-saving skill of swimming. 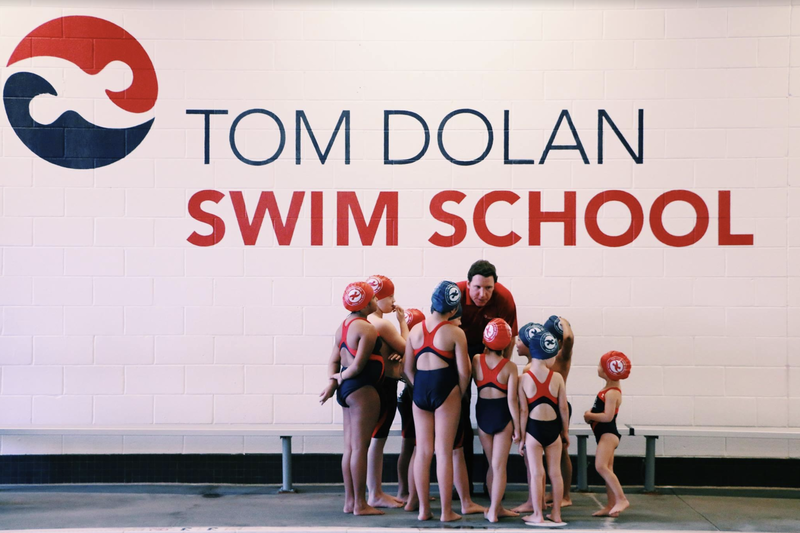 Tom Dolan grew up in Arlington and now lives in Falls Church City with his family, so he is extremely excited to bring Tom Dolan Swim School to the Arlington/Falls Church area! I love that he developed his curriculum to create the optimal swim school environment. 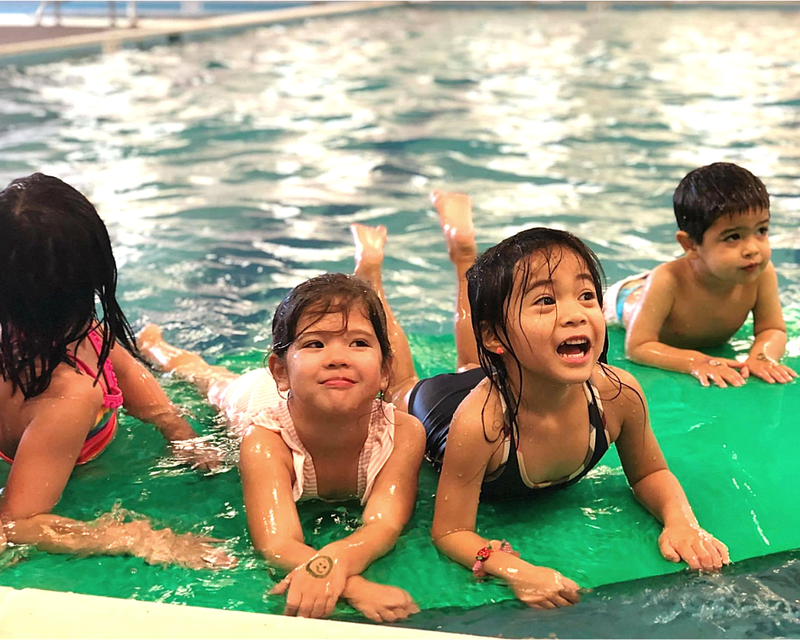 From ensuring that the pools have perfect depth and temperature for kids’ classes to implementing conveniences like online registration software and plenty of space for parking strollers, Tom Dolan Swim School was perfectly designed for families! You can also follow Tom Dolan School on their social media pages below for new updates, promotions and other exciting news! So what are you waiting on? GO HERE to register for swimming lessons at Tom Dolan Swim School in Arlington, Virginia today! *SafeKids.org. Safe Kids To Congress: Pool Safety Laws Are Saving Lives by Anthony Green, May 2017. This post is sponsored by Tom Dolan Swim School. All views and text are my own. If this was any closer, I would bring my little nephew for swimming lessons. As much as he loves the water, I know he will learn the skills really fast. Love all those benefits of swimming. Its a great sport to enjoy with family, i do hope to do some with mine. YES to swim school! I love to swim and wish every kid knew how! It’s such an important life skill to have!! This looks like such a great school. I would love to have something like this near me. I really need to get my daughter some swim lessons. ahhhh this takes me back to younger me learning to swim. we grew up near the beach so it was pretty much the first thing i learned but when we moved up to jozi dad still took me for swim lessons at the persons house who had a heated pool. was really cool. every one should swim. Sounds awesome! Swimming is such a fun activity and this school is playing a major role in teaching swimming to kids. You shared and wrote very informative post. Swimming is not only useful and safety, but it is also a complete sport activity, it’s healthy and very very relaxing for our kids. I think it’s the best activity that any child should do! It’s really important for kids to know how to swim. Our son took swimming lessons last summer. He had fun! I’m loving the swim school! I love to swim and I loved taking lessons! Swimming is such an important skill to have. I took my kids to swim lessons when they were little, but some of them really didn’t enjoy the lessons. I am sure that the temperature of the water (cold!) had a lot to do with it. It sounds like Tom Dolan’s Swim School is very conducive to kids liking their swim lessons. That sounds awesome! I wish they had a swim school around here. I’ve always thought this was such a great idea. I think all kids should learn how to swim. I remember taking swimming classes as a child and I loved it. It is so important to learn how not to be afraid of water. This is perfect for my nieces who are showing a great love for the water. Great exercise all around. My daughter loves swimming and has been doing it since she was a baby. I took her for swimming lessons even before she was walking so she is comfortable in the water. This looks like a great swim school. Swimming is a great activity and kids need to learn to swim at an early age. I loved going swimming when I was a kid. This is great that there are swim schools for kids. There is nothing more important than safety, especially around water. I’m looking forward to taking my youngest for swim lessons soon. I have to see about a swim school around here. I wonder if my kids would be interested. It’s so cool to hear about swim schools, they’re important to kids. I put my kids through swim lessons when they were younger and I am so glad I did. Tom Dolan Swim School looks like a great place for kids to learn to swim. Our kiddo also went to a school to learn how to swim. Where I live it is incredibly important that kids learn how to swim because there are pools everywhere. This looks like a great swim school. I would have put my kids in it when they were tiny. They went to the YMCA I believe and now love to swim. I think all kids should learn! My kids have been taking swim lessons at our local YMCA. My oldest has done well, but my boys could definitely use some more lessons! Everyone should learn how to swim even if they don’t care to swim. Could be a life saver or if your really good swimmer could help someone else. What a great swim school! I learned to swim at a very early age as did my kids and grandkids. My youngest grandchild started lessons before he turned a year old. Swimming is fun and provides a great workout.